Have you launched so many vessels that Kerbin looks like the Flying Spaghetti Monster? 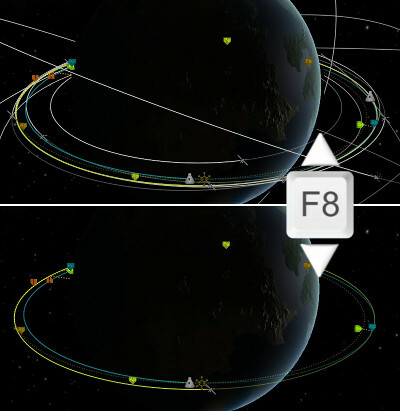 Setting up maneuvers is harder than it should be because there are just too many orbit lines? TooManyOrbits lets you hide vessels and celestial body orbits and icons with the press of a single button.